On Christmas Eve 1800, a group of Chouans, royalist insurgents, detonated a bomb along Napoléon Bonaparte’s path. This assassination attempt provides the backdrop of my new novel, For the King. Readers have asked me for more information about them. Why the name Chouans? What drove them to political violence? Were they a major political force? First the name comes from one of the early leaders of the insurgency, Jean Cottereau, nicknamed Jean Chouan (left). 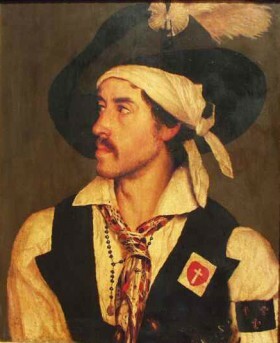 Chouan was a colorful character, already in trouble with the law years before the French Revolution for, among other misdeeds, killing a tax collector. Then the Revolution brought many changes. The Constitution Civile du Clergé required priests and nuns to pledge allegiance to the new Constitution of the kingdom, a step many considered a violation of their religious vows. Then King Louis XVI was guillotined on the 21st of January 1793. The war against the Austrians and their Prussian allies was off to a disastrous start. Soon the French armies were outnumbered, requiring the legislative body that ruled the country to decree a draft. That was the real trigger for the insurgency. Peasants from the western provinces, already outraged by the persecution of their priests and the execution of their King downright refused to go die in faraway lands for a Republic they loathed. Fight they would, but against it, and from home. The insurrection turned into a full-blown civil war. Soon the Republic had to fight not only the foreign war, but the Chouannerie in the West. The Chouans called themselves the Catholic and Royal Army. Atrocities were committed aplenty by both sides, but civilian populations bore the brunt of the hostilities. Entire villages were razed, churches burned to the ground, tens of thousands became refugees in their own country. The war raged on for years, with much British gold financing the Chouans, until Bonaparte put an end to the Revolution by the bloodless coup of the 18th Brumaire in 1799. Bonaparte presented himself as the bearer of national reconciliation after the bloodshed of the Revolution. 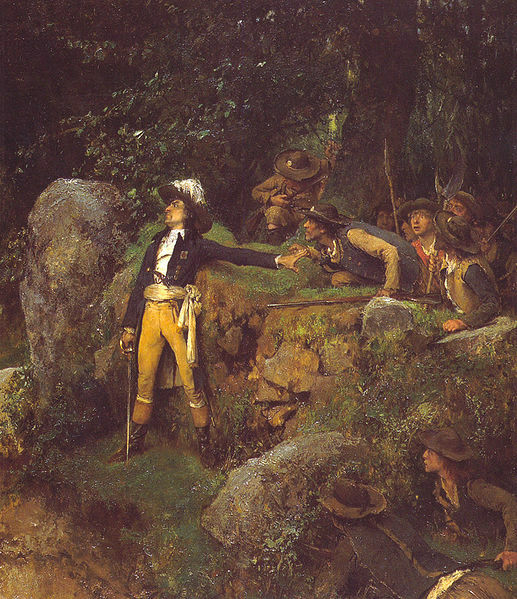 He offered the Chouans a full amnesty if they would lay down their arms, and he proclaimed the West pacified. Prominent leaders of the Catholic and Royal Army rallied to the new regime, but its most charismatic leader, George Cadoudal, scornfully declined Bonaparte’s offers.